LD Andy Rushing and 4Wall Light TBCO Birthday Celebration | The 4Wall Blog | 4Wall Entertainment, Inc.
Nashville, TN- The Belonging Church Co. (TBCO) celebrated its fourth birthday earlier this year with a night of worship that combined all three services into one. 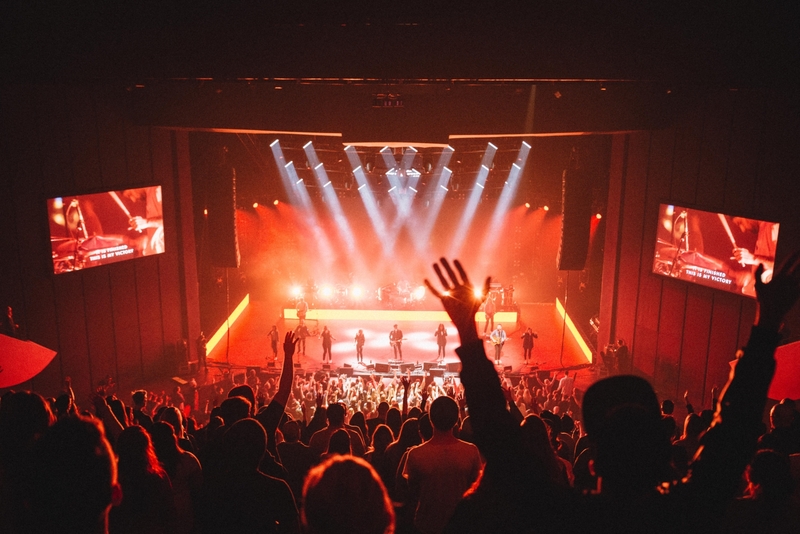 Lighting Designer Andy Rushing created the lighting design for the event that signified the growth and development of the church utilizing gear from 4Wall Entertainment. The priority for Rushing and the TBCO production team is to ensure attendees encounter the presence of God during a service or event. "We like to say 'Presence over Presentation' and 'Encounter over Entertainment', as this helps us keep our focus on what is important," explained Rushing. "We never want any part of our production to distract people from hearing God or tuning in to the Holy Spirit." With TBCO services streaming to thousands of members online, Rushing focused on creating nice looks for the camera. "Video is such a big part of what we do that it's important to make sure everything looks good to those watching at home," said the LD. With the different range of music played throughout the service, it was important for Rushing to have fixtures that can create the looks needed for each side of the worship spectrum. 4Wall's rental package included Ayrton MagicBlades, Robe Spikies, Robe Spiiders, and the all-new Robe MegaPointe. "The versatility of the MegaPointe is amazing, as well as its brightness," said Rushing. "The looks that can be achieved through prism effects are stunning as well." Rushing had 6 MegaPointes flown about waist high on the stage right and stage left wings. He was able to shoot through the band and singers for incredible camera shots as well as into the crowd for some awesome crowd looks. "Between the zoom range and the 32 facet prisms, I was able to achieve massive aerial looks that still punch through the bright wash fixtures," explained the LD. The Spikies and Spiiders were flown above the MegaPointes. With 30 Spikies total, Rushing hung 15 on each side in 3 ladders and created a clean, bright wall of light on each wing. The TBCO 4th Birthday Celebration was a great success. Rushing shared his final thoughts on the rig and event. "I really enjoyed this rig. I wish I could have had a little more time to program with it, but in the end, it was a really awesome rig," said Rushing. "The evening was also fantastic, we were all very pleased with how everything turned out."